The following is a listing of 307th Bombardment Group related logos used during WWII. 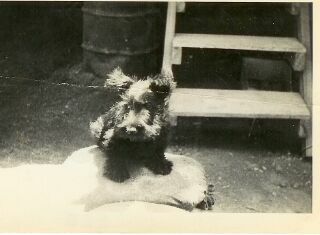 A Scotty Dog was the 372nd Squadron's Mascot. 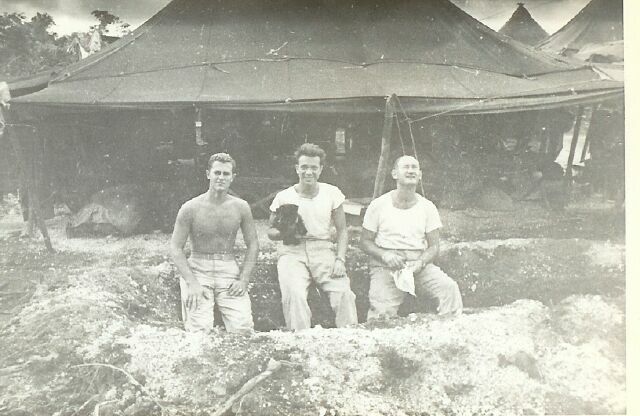 The picture is a close up of the dog sitting on a sand bag by the bomb shelter on Los Negros. Frank Klein (middle) is holding the dog. Frank and crew are sitting in a bomb shelter outside their tent. They were bombed about every night.